With this move, Maersk is working on turning itself into a pure transport company, reported Bloomberg, stating that the decision would take effect some time next year. Maersk shares opened about 4 per cent higher on Friday in Copenhagen, topping Denmark’s benchmark index of the country’s most-traded stocks. CEO Soren Skou said management had explored “all options” for the drilling unit before deciding on a separate listing in the Danish capital. “We believe this will create the best value for our shareholders,” he said in an interview with Bloomberg Television’s Matthew Miller. The 114-year-old firm has been planning an historic break with its conglomerate structure since the summer of 2016. Aside from turning its back on the oil and gas industry following the 2014 slump in prices, Maersk has also sold off shares in Danske Bank A/S and exited a grocery business to focus exclusively on the container transport industry that it dominates, said the report. The Maersk family’s holding company will initially own more than 40 per cent of the new listed drilling entity, and has “made a commitment” to continue as a major shareholder, Skou said. The unit is worth about $4.4 billion, according to Bloomberg Intelligence analyst Talon Custer. 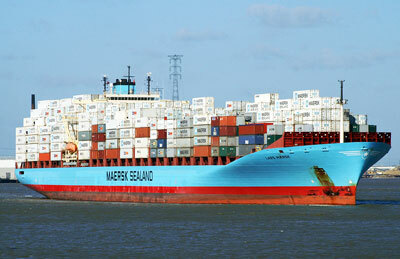 Maersk cited a consensus view among analysts in February that the unit was valued at about $4.7 billion back then. As part of the preparation for the new listing, debt financing of $1.5 billion from a group of international banks has been secured for Maersk Drilling “to ensure a strong capital structure,” he added.